Lora Vail French rejoined Andrada & Associates in 2014. Ms. French previously worked for Mr. Andrada from 1993 to 2008. She then took an extended leave to raise her children. Ms. French represents hospitals and physicians in medical malpractice actions. 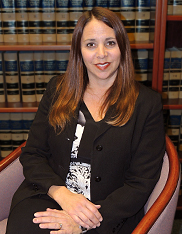 She primarily practices in the state courts.